This stained glass Irish jewelry box features a shamrock along with Celtic knot-work. This Celtic stained glass jewelry box features a shamrock along with Trinity knots on the hinged lid. 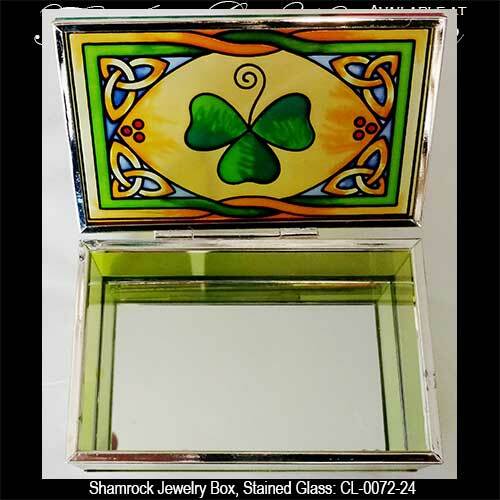 The shamrock jewelry box is made of glass with a metal frame and it measures 4 1/4" x 2 3/4" x 2" tall, including the metal feet. 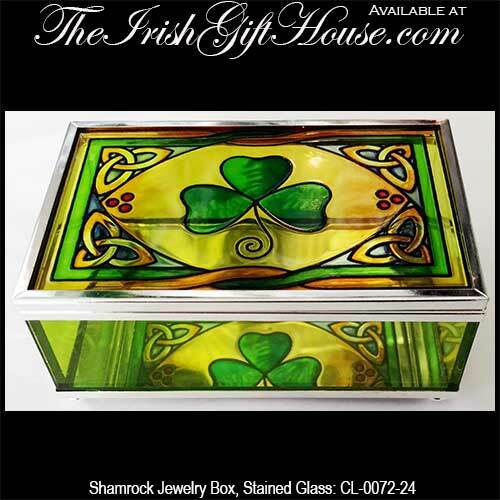 The stained glass shamrock box is further enhanced with a mirrored bottom. 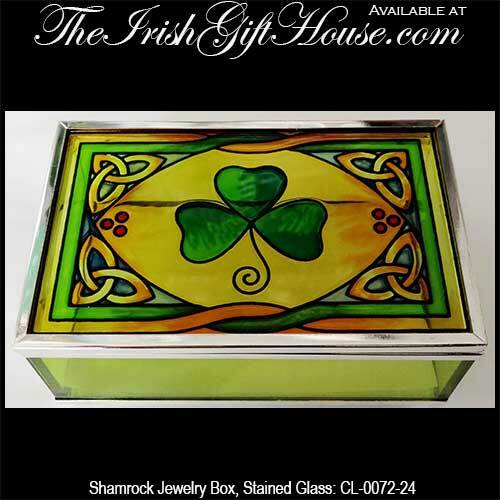 This Irish jewelry box is made in Ireland by Clara and it is gift boxed with shamrock and Celtic knot history cards, complements of The Irish Gift House.